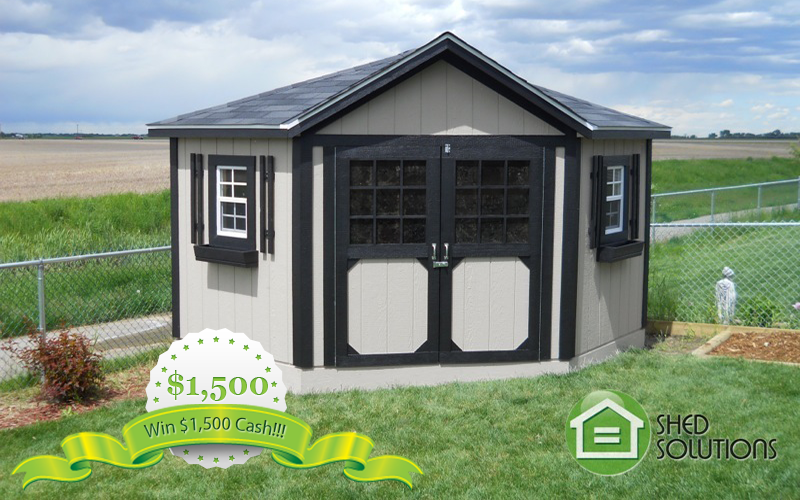 Shed Solutions is giving away $1,500 Cash to two lucky people! The draws will take place Saturday October 3rd. – Entrants will be given a certain number of entries based on the week in which they purchase a shed from Shed Solutions. – If you are selected as the winner we give you $1,500 CASH! – It’s as simple as that!